Two areas of Merseyside are amongst the best places to live, according to a list compiled by the Sunday Times. Liverpool’s Baltic Triangle and Wirral seaside hotspot, West Kirby, both appeared in the top 12 North West locations in part two of the publisher’s Best Places to Live Guide 2017. Judges of the Sunday Times assessed the locations on a wide range of factors, from jobs, broadband speed, culture, community spirit and local shops. The panel also combined the numbers with their own experience of the villages, towns and cities by the pubs, ease of transport and range of attractive properties to ensure the chosen locations were worthy of the accolade. 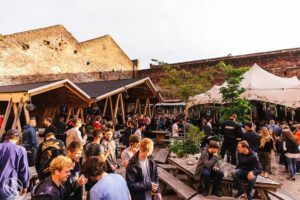 The list said the Baltic Triangle was “an achingly trendy party district” and one of the most exciting and fast-growing areas of Liverpool. 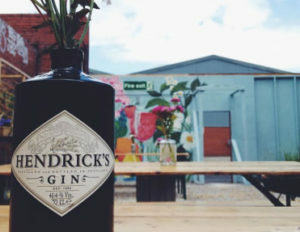 It named highlights of the area including the crazy golf course, Ghetto Golf, the Baltic Bakehouse and venue Camp and Furnace, which hosts the popular weekly event, Bongo’s Bingo. The Baltic Triangle, once left in a state of decay with disused warehouse, has been revived in recent years thanks to its proximity to the city’s waterfront. As well as the creative and digital sector, the area is also home to antique shops and other industrial firms.